In today’s busy world, taking time out to relax is acknowledged and revered as one of life's true luxuries. 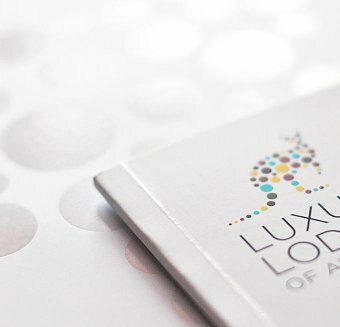 At Australia’s Luxury Lodges, pristine natural environments combine with outstanding spas to create a healing escape. Walk barefoot on the beach, breathe and stretch with yoga, eavesdrop on soothing rainforest sounds, and rejuvenate with some of the best spa treatments in the land, immersed in the peace and tranquility of our most spectacular Australian landscapes. 70min private vehicle transfer from cairns airport to silky oaks lodge. Silky Oaks Lodge and Healing Waters Spa is located in a stunning riverside location adjoining one of the oldest living rainforests the World Heritage listed Daintree National Park. The eco lodge comprises the renowned open sided Treehouse restaurant offering fine dining in scenic surrounds, contemporary accommodation encompassing both custom designed and furnished Billabong, River and Treehouses and the highly lauded Healing Waters Spa. Signature Spa Experience – Silky Oaks Relaxation Ritual. Begins with the healing power of touch and Sodashi’s Signature Massage. Then refresh your complexion with a Pure Radiance Facial tailored to your specific needs. Encompassing warm aromatic compresses, a nurturing face mask, rich in herbal extracts will ensure rejuvenation and deep relaxation. Snorkel the billabong and encounter the shy platypus as well as freshwater turtles, eels and Jungle Perch. Relax in a hammock and enjoy the stunning rainforest and river vistas. Located on the secluded northern tip of Hamilton Island, surrounded by the beauty of the Great Barrier Reef, qualia, is truly special place where everything has been meticulously considered to completely spoil the senses. Spa qualia’s menu is authentically Australian, incorporating treatments, which capture the essence of Australia and the Great Barrier Reef. Signature Spa Experience – White Haven, begins with the flow of white silk caressing your skin, and a clarifying sea mineral salt exfoliation restores a glistening glow. The ocean dreaming massage works into your muscles from head to toe with the signature Whitehaven aromatherapy oil. The final touch is a marine facial, leaving you drifting in a world of your own. Take part in daily wellbeing classes held at the qualia meditation pavilion. Classes include yoga, core strength, stretch and sunset meditation. Unwind on a comfortable sunbed adjacent a beachside infinity pool and be cooled by gentle breezes as time drifts by amongst the calming palette of blue sea and sky. 10 minute hosted drive to hamilton island airport, 1.5 hour flight to brisbane airport, 2 hour drive to spicers peak lodge. Located on 8000 acres at the peak of the ridge, with breathtaking views of the World Heritage listed Main Range National Park and Scenic Rim, Spicers Peak Lodge is Queensland’s highest mountain lodge retreat. Recently opened, purpose-built Spa Anise, encompasses specially designed treatment rooms. Signature Spa Experience – Volcanic Rhapsody, a detoxifying body wrap treatment designed to combat cellulite prone skin. Lemongrass, French Cypress and Blue Volcanic Clay provide purification, Marine Nutrients hydrate during the Soothing Full Body Massage concentrating on stimulating lymphatic flow. A picnic hamper can be delivered to one of many scenic picnic locations around the 9,000 acre grounds. Take a mountain bike ride or walk and arrive at the desired location to chilled champagne, a delicious picnic, stunning views and nothing to unpack. Cool off with a dip in the infinity edge swimming pool or soak in the luxurious outdoor spa.